HI FELLOW COSPLAYERS! 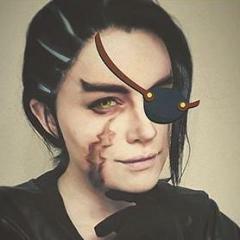 I threw together this Xigbar with a wig I had for Loki and a sticker eye patch because the one I had on hand was too big for my face hahaha! Share your cosplay pics with me!!! Here is my contest entry ! 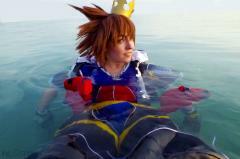 I made a Cosplay video for this. 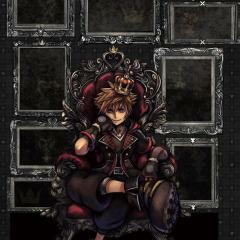 Both casual Sora and conductor Sora from the first breath concert ! 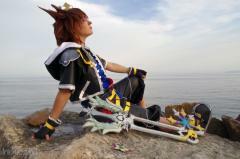 My Hooded Roxas cosplay. I even wore it to PS Experience 2016! 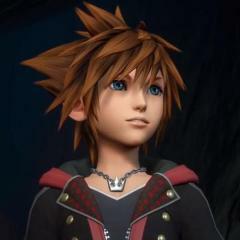 Which appearance of Sora would you most want to cosplay as? 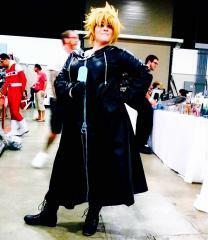 Last year at ultracon! 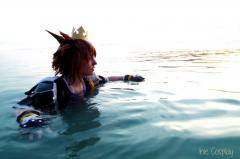 I had forgotten my keyblade, but thankfully I always have my sea salt ice cream in my pocket! 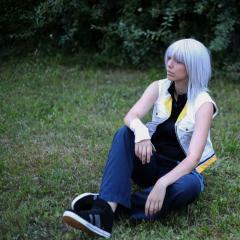 This is my Zexion cosplay. COSPLAYER: C-World Productions (me) PHOTOGRAPHER: Andrew M. (my boyfriend) EVENT: Otafest 2016 Other Information About Cosplay: Blue Eye Contacts: These are prescription. I bought them from Pinky Paradise. Lexicon: I made it. I bought a hardcover Twilight book from Fair's Fair and altered the outside of it. 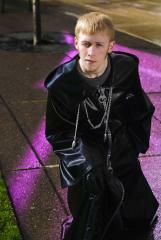 Organization XIII coat: My grandma made it. I made the metal accessories for it, using a metal chain, 2 fan ceiling pull strings, and 4 pieces of copper pipe from Home Depot. The silver spray paint used on the metal accessories was borrowed from my grandpa. Rest Of Outfit: Boots are from Value Village. Capri pants were from Sears. Gloves were from Sears. 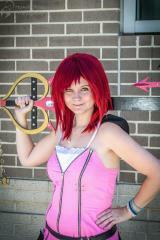 Wig: I bought it from my Kairi. 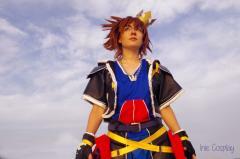 © C-World Productions, Andrew M.
I went to Tampa Bay Comic Con today, so I wanted to share to you guys an amazing cosplayer who dressed up like Sora and was willing to take pictures with tons of other Kingdom Hearts fans. The line was so big that I never got a chance to take a picture with her! Heya everyone! Silvia here, unveiling the cosplay I'll be wearing to Katsucon coming up in February. It's Asuna Yuuki, from my favorite anime Sword Art Online. Apologize if the pictures are a bit crappy. My hands were shaking a lot during all of this. So in a couple of weeks, I'll be headed down to JapanFest here in Georgia. I have not gone before...And they actually have an anime place and Cosplay event. So I was thinking..."I've gotta cosplay". Inga is a male character from an anime called "Un-Go! ", it's a mystery anime (and if you wanna get into it, go find Episode 0- Inga-ron first before you start the anime). 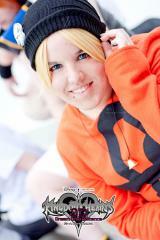 Inga- I got his cosplay hat several years ago, but have never had the chance to cosplay...And now I have a chance. 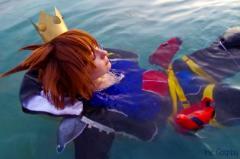 So here I am- Horrible full body picture- And these babies- THIS COSPLAY IS NOT COMPLETE. -I didn't do my hair at all. -I COULDN'T SEE ANYTHING I AM SEVERELY NEAR-SIDED -Probably gonna make my face look as pale as ever, for this cosplay, the character is really sickly looking. -I need a vest and another pink shirt... -Need long black glove -Need JINGLE BELLS BECAUSE THE SHOES JINGLE DUUUHHH~ -I get to get a panda tail. -what am I even going to do with my hair -my hat needs to be sewed. LEAVE YOUR SUGGESTIONS/COMMENTS BELOW!! THANK YOU!! My First Time Cosplaying... Also MASTER ERAQUS FACE REVEAL! Well guys, it's time. It's time you guys see my face... kinda. All jokes aside, today I went cosplaying for the first time at a comic con. 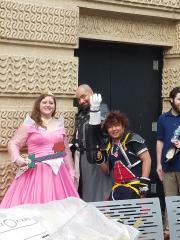 I had an amazing time with my friends and met other KH fans for a good four hours. 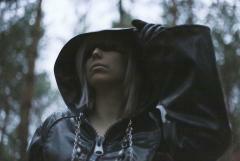 Anyway, this is me cosplaying as blindfolded, Oblivion-wielding, coated Riku (what a mouthful ): Edit: Yeah I know I wasn't wearing a wig. 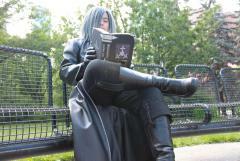 http://news.yahoo.com/comic-book-guys-quivering-fear-cosplay-191622169.html THIS IS SOME BULL.